Predictive analytics has come of age. Organizations that want to build and sustain competitive advantage now consider this technology to be a core practice. 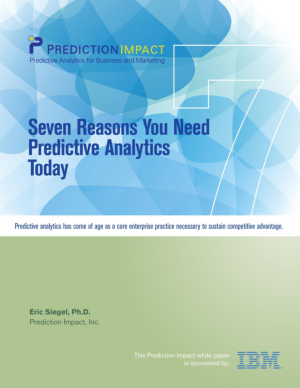 In this white paper, author Eric Siegel, PhD, founder of Predictive Analytics World, reveals seven strategic objectives that can only be fully achieved with predictive analytics. ....and finally, render your business intelligence and analytics actionable.